Printers for Computer Library Total Cost $600 Copy machine for Administration Office $1500 Donations in Checks or money orders may made out toShashamane FoundationPO BOX 5845 Takoma Park, Maryland 20913 – USA. 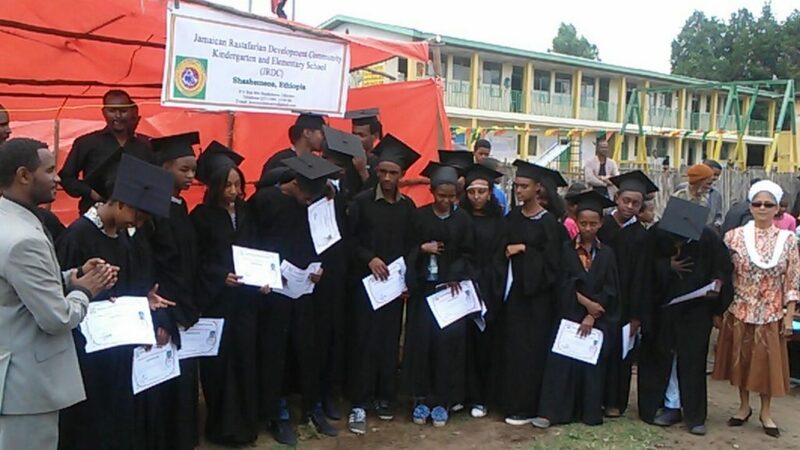 The Jamaica Rastafarian Development Community (JRDC) School is located in Ethiopia in the city of Shashamane. This community organization is registered as a local Charity with NGO Status. 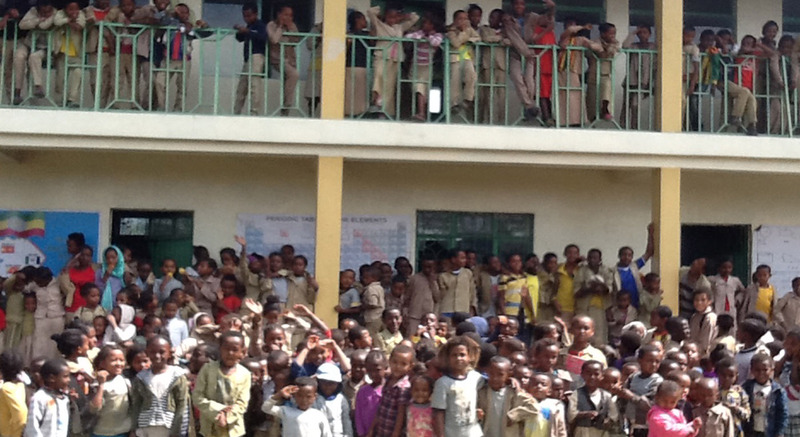 The Kindergarten and Elementary school represents the first phase of the organization’s community development (NGO) Education project, which has been underway since the year 2000. Its early beginnings can be traced to the home schooling of the children of early settlers on the Shashamane Land Grant. This all started in 1970s at the humble homes of Rastafari brethren Daniel “Bro. Flippin” Leach and followed by Karl Hamilton both of Jamaican nationality. The responsibility of educating their young children in this rural, remote, non-English-speaking environment, was a number one priority for the newly arrived English-speaking settlers . In the early 1980s this home schooling operation was fully assumed by Brother Karl Hamilton, a trained teacher from Jamaica and New York . With limited and scarce resources he conducted classes under a shady tree in his yard, with the students sitting on flat stones and make-shift wooden benches. Bro-Karl was an excellent teacher and taught his students well including Bible Knowledge. His favorite and often repeated class-room nursery rhyme and mantra was “silver and gold will vanish away, but a good education will never decay”. In the early 1990s, brother Albert “Teach” Allen, a trained teacher from Jamaica arrived with a plan to establish a school and soon assumed the responsibility of expanding the effort and vision by relocating the school of 15 students, into a 15’ X 30’ zinc-shed on the premises of the Twelve Tribes of Israel HQ. Bro. Karl Hamilton continued as a volunteer teacher and Sister Janet McLaughlin was brought on board as a volunteer teacher/secretary. In late 1991, for the fourth time since its founding, the school was relocated into a newly-constructed two room adobe building at its current 3-acre site, on land given free-of-cost by a member of the community in support of the community’s development effort. There 45 students and the 3 teachers were also joined by Yoseph “Mamoosh Leach, a son of one of its early initiators, Donald Leach. With the establishment of the community organization, The Jamaica Rastafarian Community (JRC) in 1988 at the behest of Vernon Carrington AKA Prophet Gad , the community organization developed with the assistance of settlers on the ground and the Shashamane Foundation, into a full fledged NGO with the addition of the word Development to its name and was registered as the JRDC.